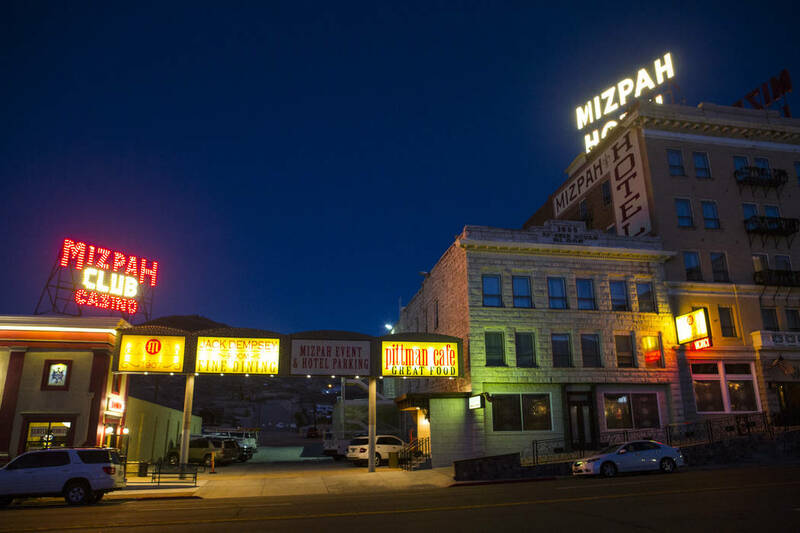 The Mizpah Hotel in Tonopah has garnered an award that’s a little frightening. 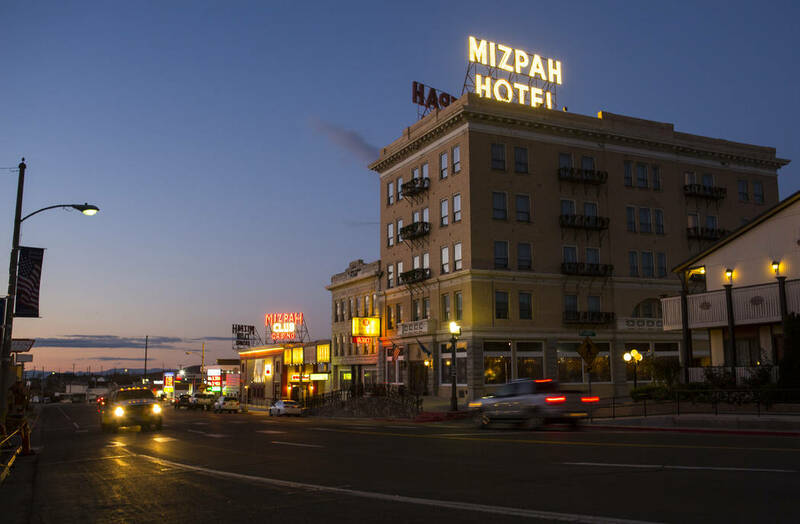 Chase Stevens Las Vegas Review-Journal The Mizpah Hotel was voted the No. 1 haunted hotel in the U.S. by the USA Today’s 10 Best Reader’s Choice Awards. The results were released in October. 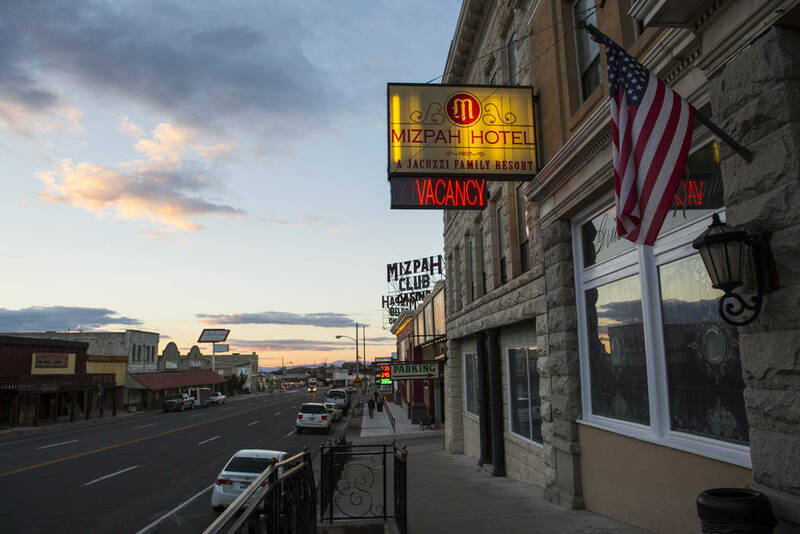 Chase Stevens Las Vegas Review-Journal The Mizpah Hotel and Mizpah Club in Tonopah on Thursday, Oct. 11, 2018. The Mizpah was voted the No. 1 haunted hotel in the U.S. by the USA Today’s 10 Best Reader’s Choice Awards, according to results released in October. According to USA Today, several spirits reportedly roam the halls of the five-story hotel that sits at 100 N. Main St. in Tonopah. Also according to the report, guests have seen items move mysteriously and an old elevator’s doors randomly open and close. The Mizpah led several hotels for the spot: the Crescent Hotel and Spa in Eureka Springs, Ark., which came in second; the Myrtles Plantation in St. Francisville, La., which placed third; Bourbon Orleans Hotel in New Orleans came in fourth; and Hotel Sorrento in Seattle, which placed fifth in the most haunted ranking. The Reader’s Choice Awards’ recipients are nominated for consideration by an expert panel. This panel is made up of a combination of editors from USA Today and 10Best.com, along with relevant expert contributors “and sources for both these media and other Gannett properties,” rules from USA Today’s website stated. All public voting, which occurs over a period of four weeks, is done digitally on the 10Best.com website—a standalone travel media site. The contest contained 20 other nominees from around the country. Earlier this month, the Mizpah offered two opportunities to have “dinner with a ghost.” The event included fine dining and a paranormal investigation, along with information on the “history and key personalities” at the Mizpah, according to information on the ticket sales website. The Mizpah was built over a century ago in 1907. At that time, the five-story structure was the tallest building in the state, holding that status for 25 years after it was constructed. Since the beginning, it has seen prospectors, politicians, pugilists, pilots, philanderers and preservationists. It has stood firm through shifting economic tides and the dramatic seasons of the high desert of Nevada. The Mizpah shuttered its doors in 2000 and remained so for over a decade until Fred and Nancy Cline purchased the property. After the acquisition, the Clines went on with a detailed restoration of the property, which reopened in 2011. “The Cline undertaking wasn’t a business venture, it was an opportunity to preserve a valuable piece of history, honor their past and reinvigorate a proud and independent community,” according to a news release from the Mizpah. Ghosts at the Mizpah have been present for the last several years. “The friendly ghosts at the hotel have been present throughout the years and delight in interacting with guests,” a news release stated. The Clines are also owners of Cline Cellars Winery and Jacuzzi Family Vineyards in Sonoma, Calif. “Nancy also has deep historical family ties to the town (Tonopah) and wants to honor the sacrifices made by so many in braving a new frontier to build a better life for those that followed,” a news release stated. Since getting the Mizpah up and running, the Clines have also opened the Tonopah Brewing Co. and are in the process of restoring the “historic Nevada State Bank and Trust Building, also in Tonopah, which will open its doors in 2019 as the Belvada Hotel,” according to a news release.